Did everyone enjoy their pancakes yesterday? i do hope so mine where coated in gooey chocolate sauce and maple syrupy goodness. and it amazes me that valentines is now only just 1 day away goodness gracious me i hope all of you are well prepared for it ^^. 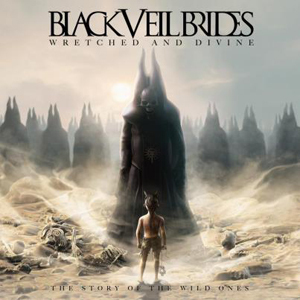 i myself will be having a lovely singles awarness day with a good vampire romance novel, peach schnapps and my new Black Veiled Brides CD which brings me onto todays subject a review of said BVB CD; Wretched and Divine. Well where do i begin? It certainly is intriguing as you listen to the tale it tells through 19 wonderfully amazing tracks. my personall favourite has to be a tie between New years day and the song of which the cd is named after with a mix of battle crys and thrilling guitar solos with the vocals of the wonderfull Andy Biersackwho has mesmerised us of the alternative sect for the entirity of the BVB's career. But aside from the music i do believe the cover art of this album is beautifull in all its dark divineness. Emily the strange in emily and the strangers!